Musikprogramm | AFRICA FESTIVAL WÜRZBURG - The Original! Musikprogramm | AFRICA FESTIVAL WÜRZBURG - The Original! 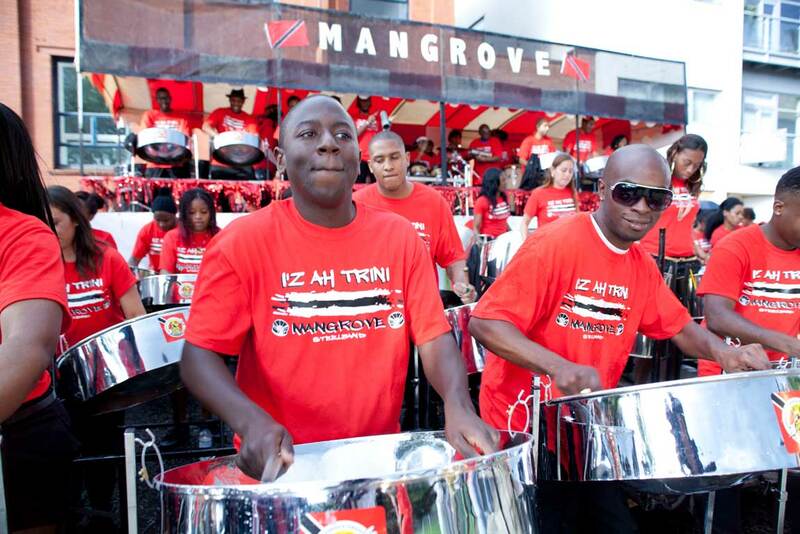 The “Mangrove Steel Band” is one of the most famous steel bands. The band started as a traditional “Pan Round Neck” group, which played mainly on street parades, and has now established itself as a professional steel band. 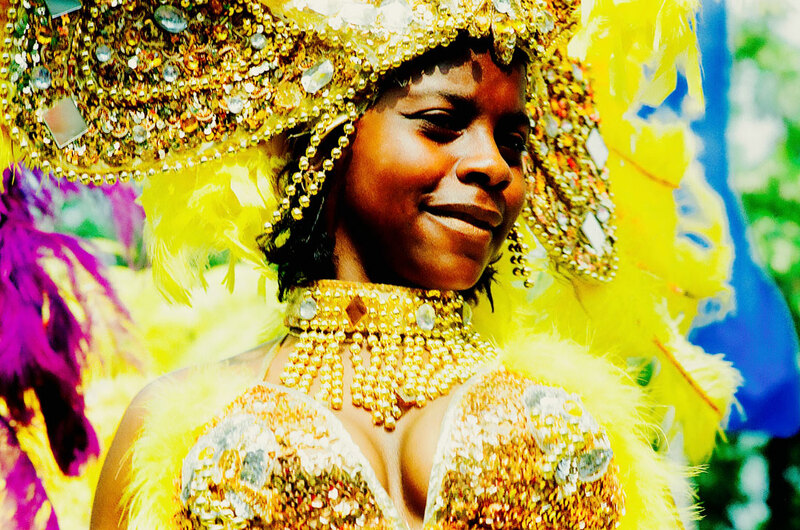 It has won the “Panorama”, the national steel pan competition of the Notting Hill carnival, eight times. 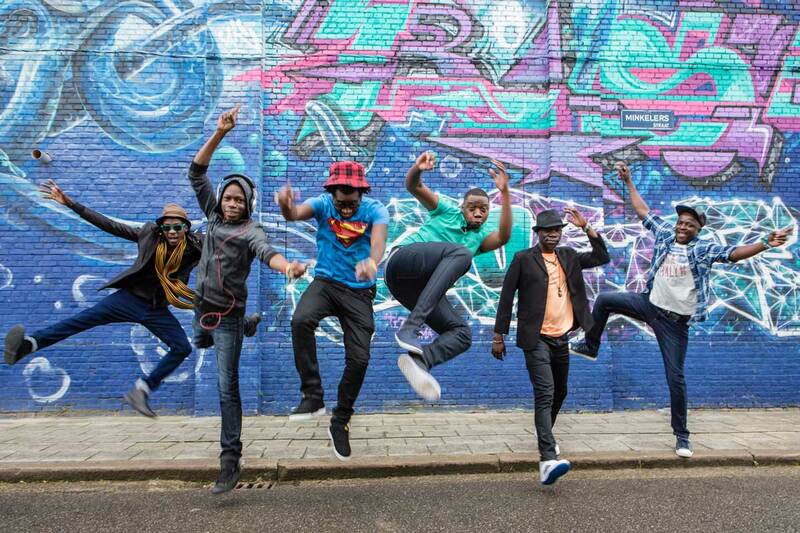 The 20 musicians will enthuse the visitors of the Africa Festival with their effervescent energy. When the likeable singer Wally Warning, multi-instrumentalist and composer, performs on stage - either solo or with his band - the audience is quickly electrified. He sees music as an elixir of life, a linking passion across all boundaries. He doesn't feel committed to one musical category, he loves reggae. He merges Caribbean groove with Latin roots at the highest musical level. For the Africa Festival Wally rounded up nine musicians from the Caribbean and Germany... old and new companions. His successful daughter Ami will also join the band on the bass. You can look forward to a very special performance, which will be rounded off by his hit song "no monkey". The Caribbean Brass International originated as a street-marching dance orchestra. The band consists of brass players and drummers. It was formed in 1986 by Aruban and Antillean students, who have been playing as a band since they were children. Their music is a mixture of Spanish, African, European and Brazilian elements, like samba, soca, calypso, merengue and modern music. The fast, rhythmic music they play has its origin in the biggest festival of the people - the carnival. The energy and enthusiasm of the musicians is inexhaustible and the rhythm is contagious. It is impossible to keep your feet still! When she was a child, Moonlight Benjamin soaked up the rhythms and attitude to life of her home country Haiti, which, as well as the African root country Benin is completely determined by the voodoo religion, and took these influences to her adopted country France. In France she started working with different jazz musicians like Omar Sosa. It is no surprise that the sound on her new critically acclaimed album “Siltane” (2018) was a result of the collaboration with jazz guitarist and arranger Matthis Pascaud. She combines her rebellious and powerful vocals – her texts are in Creole or French – with 70s garage blues rock without neglecting her traditional roots as a voodoo priestess. Magical and groovy! When Rose McCartha Linda Sandy Lewis was born on 27 April 1940 as the daughter of a simple fisherman nobody would have anticipated that she would one day revolutionize the male-dominated world of calypso. But with boundless willpower and her believe in women’s rights she continued her path and convinced anyone who doubted her with unique quality. Thus the great Calypsonian Mighty Spoiler granted her the honorary title „Calypso Rose“, and now even a boing 737 from the Caribbean Airlines bears her name. In 2016 she set another milestone of her career with the album “Far From Home“ in collaboration with Manu Chao. She is enthusing every audience worldwide with her charming way of seasoning calypso with soca, blues and reggae sounds! 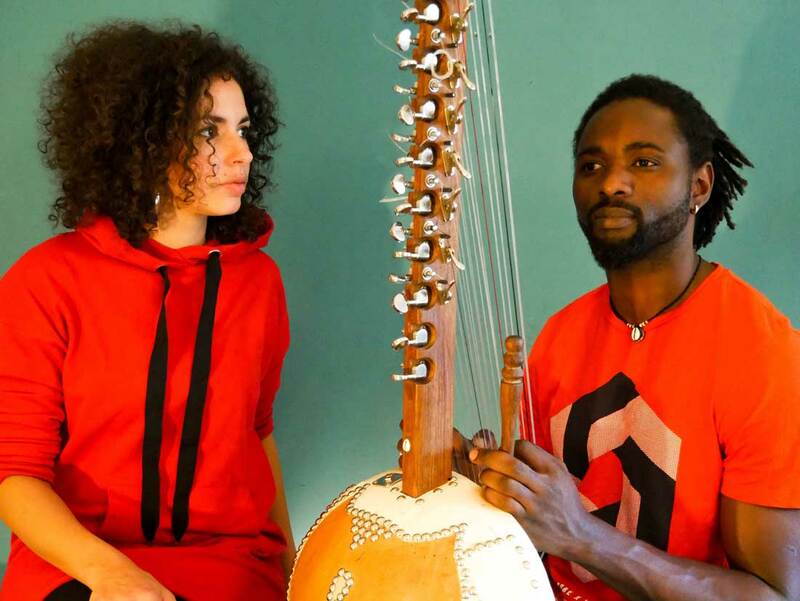 With this duo consisting of a female singer from Hamburg and kora player from Casamance (Senegal) a soulful, jazzy voice meets traditional and modern kora sounds! As they are not setting themselves boundaries, the duo invites the audience to a journey through world music. Rudy Valentino Jr. accompanies them as a producer and guitarist who has already worked with Samy Deluxe and many others. This young collective, which was founded in London, proves that women are also able to perform afrobeat and carry it within them. Band leader Sheila Maurice-Grey, who plays the trumpet, says: “We are making the music we love and which our parents already listened to. Fela Kuti, Tony Allen from Nigeria or Ebo Taylo from Ghana – these are our icons!“ Together with Cassie Kinoshi on the saxophone and Richie SeivWright on the trombone and their band she will enthuse the audience with cumulative women’s power! The exceptional guitar player who was born in Conakry on 21 April 1977, moved the centre of his life to Paris in 2007. There, the musician who comes from a griot family, perfected his guitar skills and has since shared the stage with musicians like Corey Harris, Mariama or Fatoumata Diawara. His current amazing album is called “Fé Toki“. On the CD, he plays modern, urban afro pop without forgetting about his mandingo roots. When he plays afro blues on his guitar, he even manages to cover the area between the Niger and the Mississippi delta with his range. The choir, which was founded in 2009, was initially started as a charity project to help young adults from different remote areas in Limpopo, who didn't have a perspective, create their future. By now, the project, which is headed by Ralf Schmitt, has become more and more professional. Many of the young boys and girls can even make a part of their necessary livelyhood with their beautiful voices. The choir, which consists of ca. 30 people, is considered one of the great newcomers in the "land of the 1000 voices". Part of its repertoire is the township jive, as well as hits by Hugh Masekela or songs from the musical "Sarafina“. With its new interpretation of "Shape Of You“ by Ed Sheeran they are even aiming for a Grammy award. 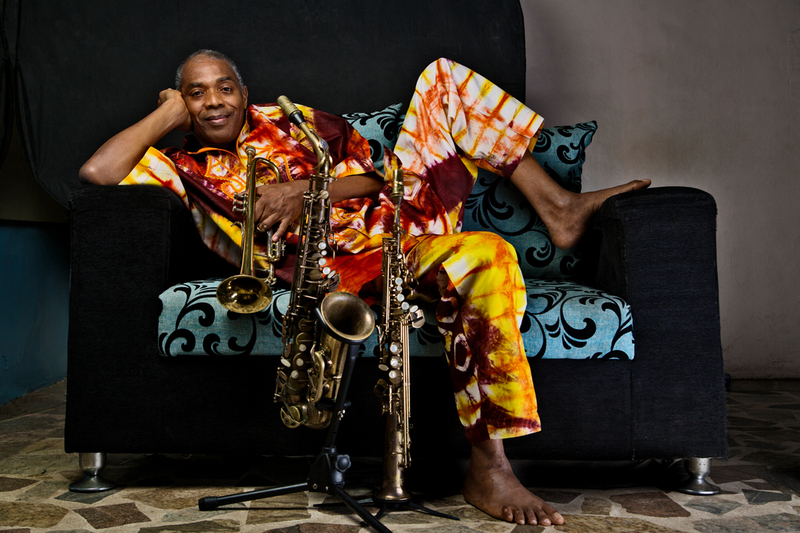 Olufela Olufemi Anikulapo Kuti is the oldest son of the unforgotten “King Of Afrobeat”, Fela Anikulapo Kuti. Fela met Femi’s mother Remi Taylor while studying in London. Femi was born there in 1962 but then grew up with his father in Nigeria. There, he was able to experience the career of his father up close and as a teenager he was even playing the saxophone on stage with the great Fela at their own music club, the legendary “African Shrine“. After the death of his father in 1997 he naturally accepted his musical inheritance and continued it. His 1998 album „Shoki Shoki“ is sensational! With his current CD “One People One World“ (2018) he also stayed true to himself and the socially critical policy of his father. BCUC is the abbreviation for “Bantu Continua Uhuru Consciousness“. 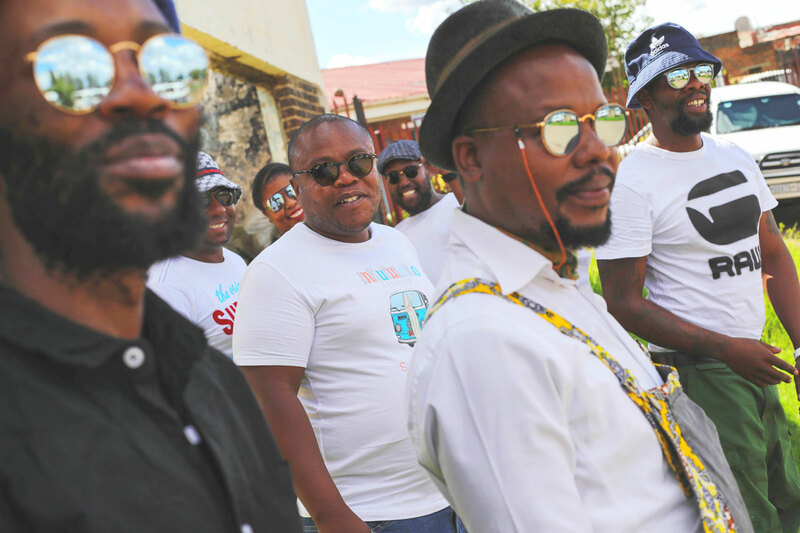 The band from the township Soweto in Johannesburg is taking traditional paths; the seven members are always connected to their faith and the corresponding rituals while also keeping in touch with the modern Africa of today. They call their style “Africangungungu“ with a smile, a sort of afro psychodelic and a far cry from the common mainstream. The band combines shebeen songs or church songs with rap and rock in an exciting way. It masters afrobeat as well as funk. Music which is fascinating and hot! Thabilé was born and grew up in Dlamini, a township of Soweto/Johannesburg. For her debut CD “Dlamini Echo” (2018) she delved deep into her childhood memories and recounts the first days after apartheid and the various touching fates of the women in the township. Musically, she has been working with her guitar player Steve Bimamisa for a long time. He allows her expressive voice any type of freedom in his compositions. The guys from this energetic band from Zimbabwe, have met between 2002 and 2007 in the Chinotimba Township of Victoria Falls. By now the shooting stars from Southern Africa with their charismatic band leader Mathias Muaza are enthusing audiences worldwide. They combine souskous, funk, pop, reggae and of course the musical styles of their home to create a hot, Pan-African crossover mix, which is always presented in a sweeping show on stage. Lucibela, born in Tarrafal on Sao Nicolau, is another rising star above the musical heaven of the Cape Verdes Islands. She recounts stories about love, longing and hope from the sparse islands of her home with sentimental mourna sounds or danceable coladeira exactly like her idol Cesária Evora to whom people already compare her. 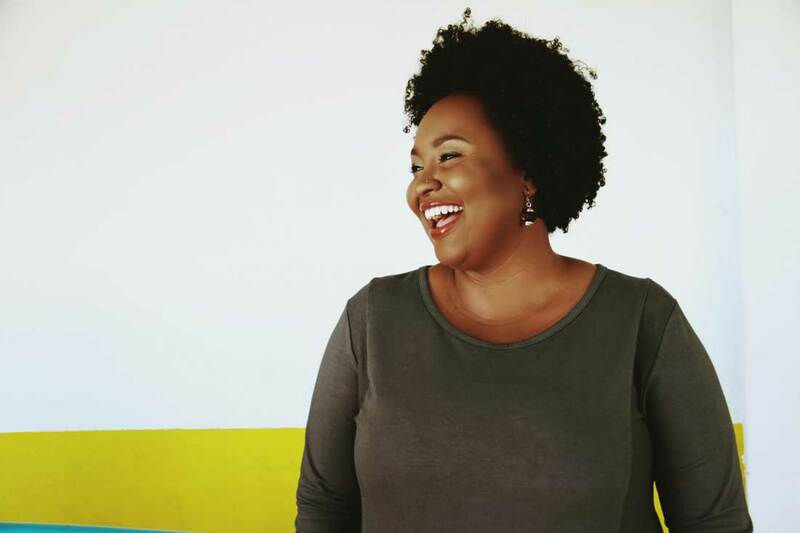 She comments this comparison in a humble way: “Cesária was and will always be unique!” In the last years she was roaming through the hotels on Sal or Boa Vista and performing at bars and restaurants of the capital Praia. But now she has recorded her first album „Laco Umbilical“ (which means umbilical cord) in Lisbon and thus finally her great voice will be heard in the rest of the world as well. The older folks might still remember that the first world music albums from Africa which could be found in any well organised record collection were Osibisa’s “Black Magic Night-Live At The Royal Festival Hall“ (1977) and Touré Kunda’s “Live Paris-Ziguinchor“ (1984). The core of this family formation from Casamance are the siblings Ismaila and Sixu Tidiané Touré who were initially supported by their brother Amadu who died in 1983. They have recorded numerous successful albums until 2008. After a creative hiatus, which they took to regenerate, they are now back with the sensational work “Lambi Golo“ (2018). Refreshed, as if no time had passed, they decided to get back on stage and celebrate songs like “Emma“ with their fans. “Overcoming injustice, building bridges between the cultures of the world whether it is in Europe, South America or Africa.” – this is the slogan of the band from Cologne. The eight young musicians, who have their roots in Peru, Venezuela and Germany, started out just jamming for fun in a rehearsal room in Cologne/Mühlheim until they decided to release their first single “One drop” in 2005. 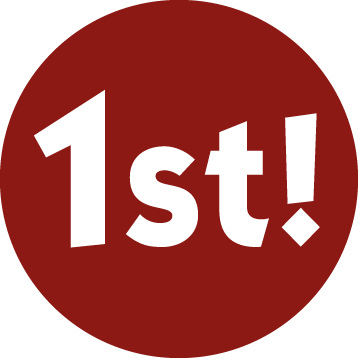 The music scene also reacted with respect and enthusiasm to their second EP “Startline”. This young artist who was born in Mombasa at the coast of Kenya found herself a new home in Cologne when she was six. In her songs, which she writes herself in German or Swahili, she openly addresses her longstanding experiences as an Afro-German woman with a lot of empowerment. “Who’s afraid of the black woman?” she sings and cheekily asks in her debut single “Afro Spartana“ (2016). During her impressive performances she is actively supported by her Djane Mbengisha and her dancers. Dominik Haas aka Jahcoustix, the son of a diplomat, was born in Bonn on 4 October 1978. While having been a nomad on the African continent most of his life, he has now moved his domicile to Berlin. After several projects with bands like Headcornerstone, Outsideplayers, Dubious Neighbourhood and recently with the Reggae formation Klub Kartell from Cologne, the audience can be excited about what the positive vibes man will be presenting this time to conclude the performances of the Open Stage..
Awa Fall aka Sista Awa was born in in Bergamo in 1996 to a Senegalese father and Italian mother. In 2010 she slowly started her musical career. At first she was singing soul and blues, until supported by an Italian reggae formation, the Easy Skankers, she devoted herself completely to roots reggae. Her first solo album „Inna Dis Ya Iwa“ was already a great success. She still lives in her home country Italy but also continues to get inspired by her travels through Senegal. She evolved with her band the Rising Tones and Dj Bonnot and is now also at home in dub and jungle. It will be her first performance at the Africa Festival in Würzburg and she will present the songs of her new album. When his brother gave him a mix tape with songs from Jamaica when he was 17 years old, Tilman Otto, the son of a pastor who grew up in Osnabrück and Cologne, was thrilled. He decided to travel to the Caribbean island, the home of reggae. He started as a DJ and was soon encouraged by other artists like Max Herre to play his own interpretation of roots reggae. From this moment his career skyrocketed. 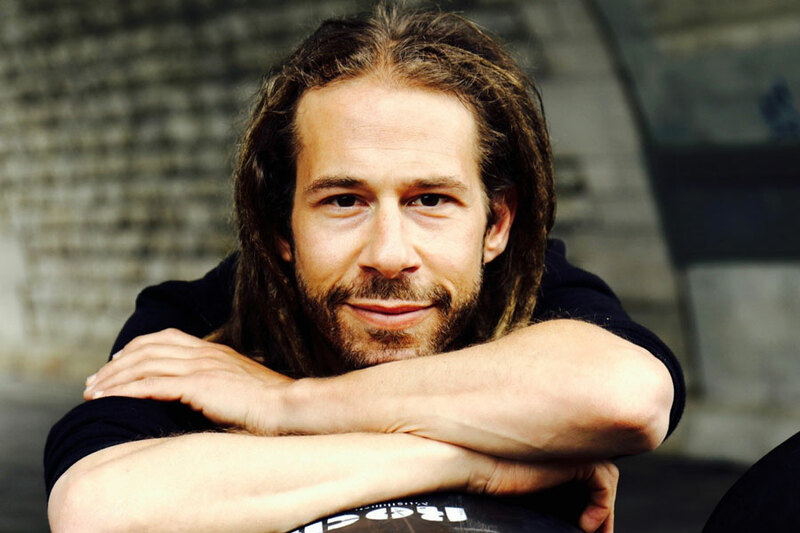 His second album "Journey To Jah" (2002) already reached gold status and the following "Confidence" (2004) is considered one of the most successful albums that has ever been sold in the history of German reggae. Numerous colleagues like Shaggy or Ky-Mani Marley value his personal qualities. He will be performing his current album with his well-attuned band for the finale of the Africa Festival.